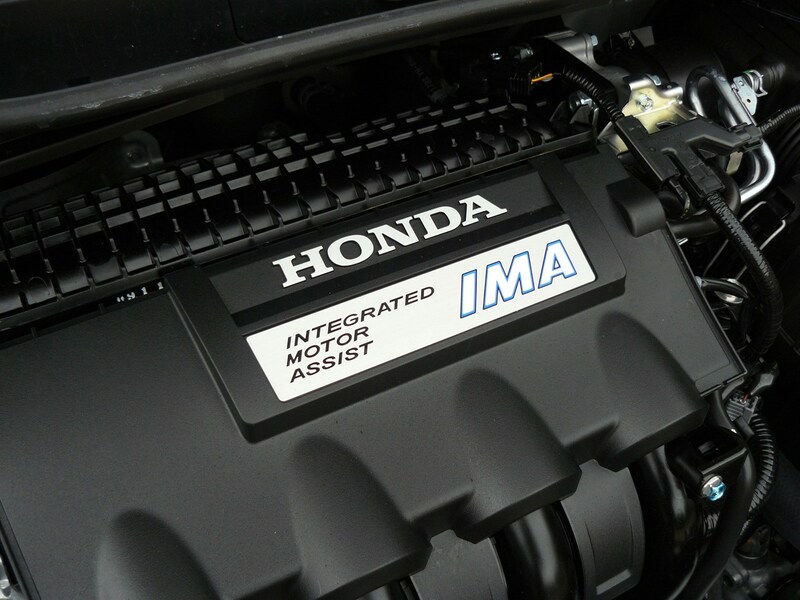 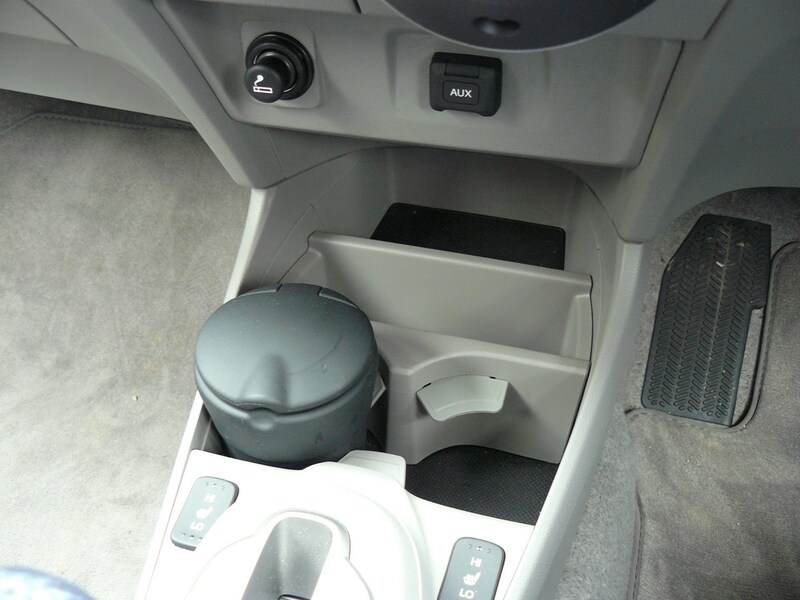 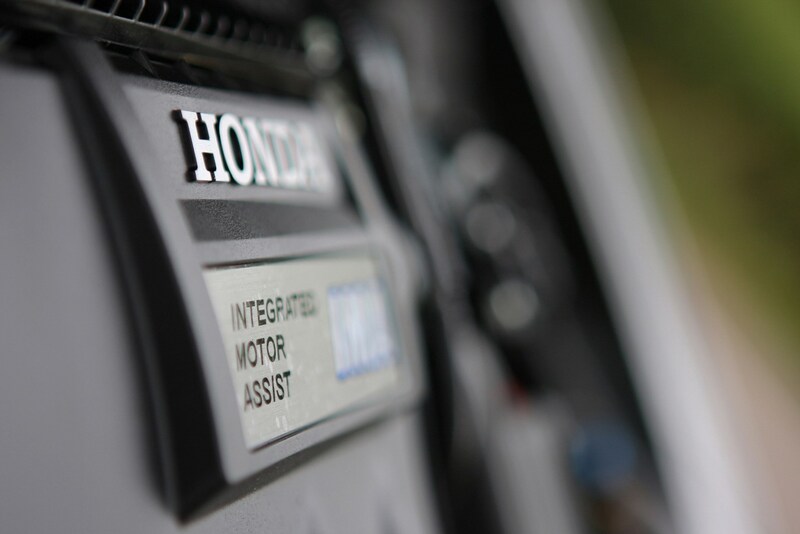 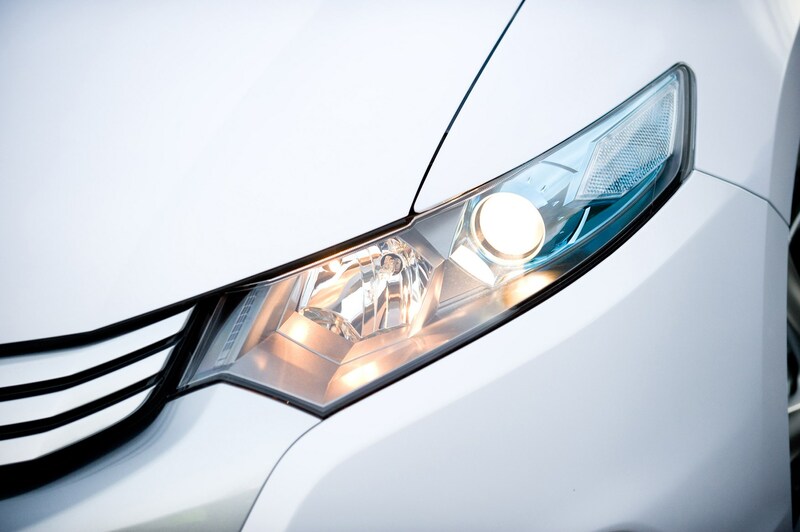 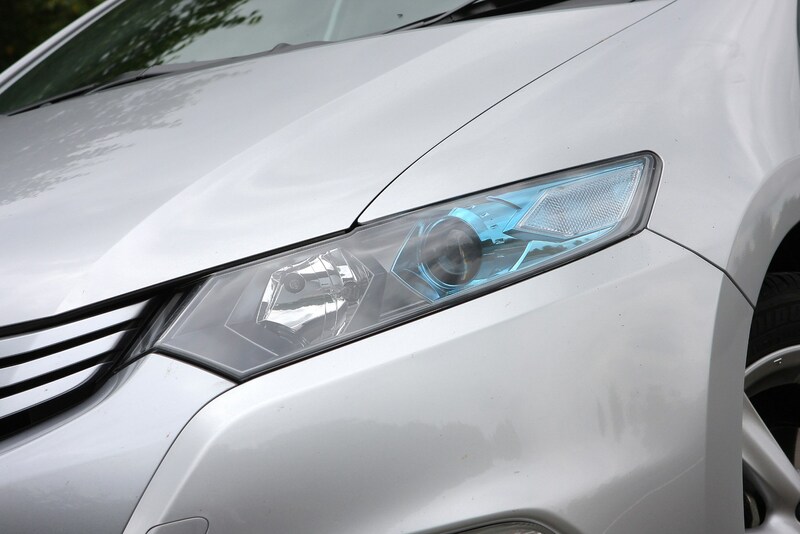 The Insight is powered by a system called IMA - which stands for Integrated Motor Assist. 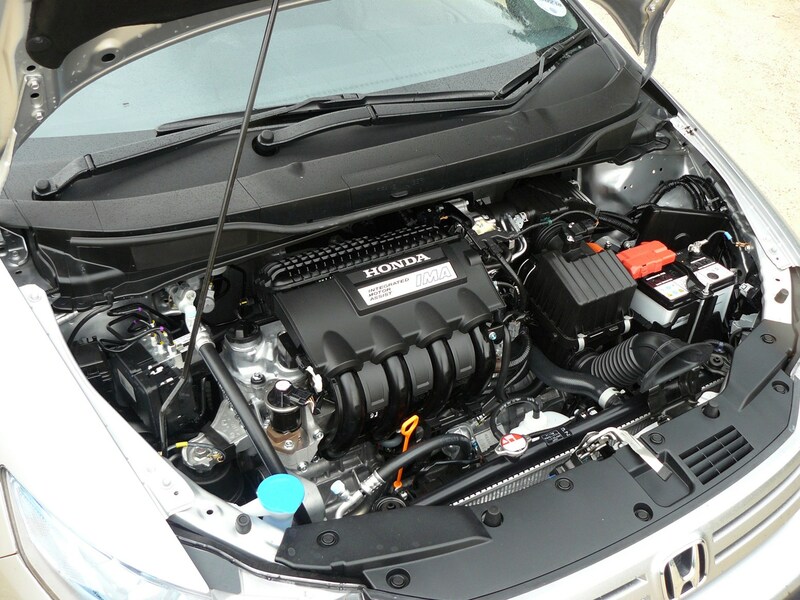 This is simply an electric motor that sits alongside the petrol engine. 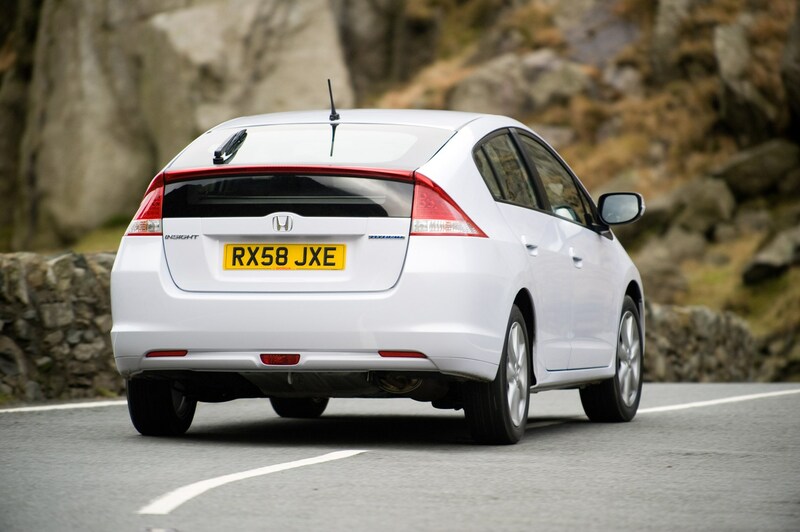 It's based on the same system used in the Civic Hybrid, but the 1.3-litre engine is new and the electric motor is smaller and lighter - helping to save even more fuel. 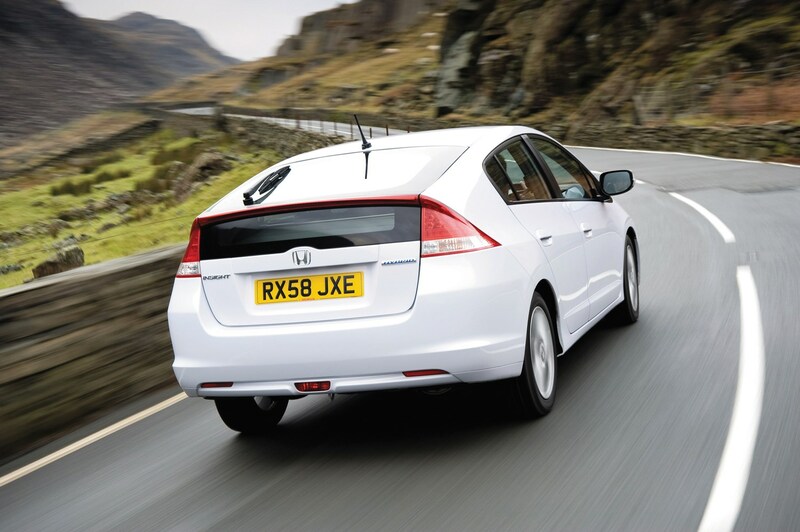 The 1.3-litre i-VTEC unit delivers 88bhp on its own, but the electric motor adds a further 14bhp along with plenty of extra pulling power from a standstill. 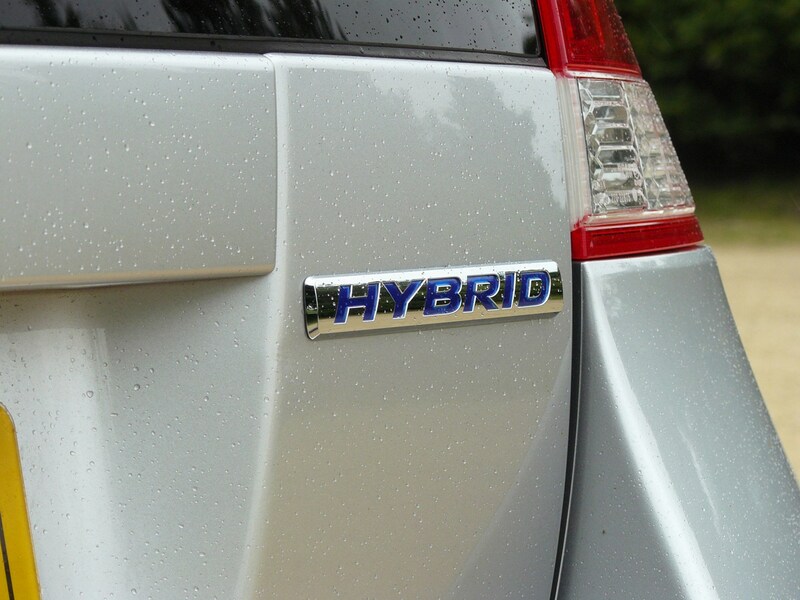 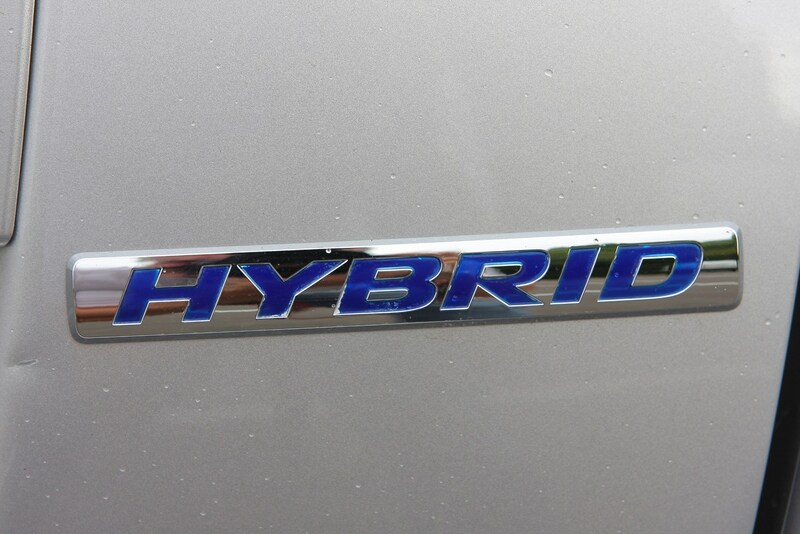 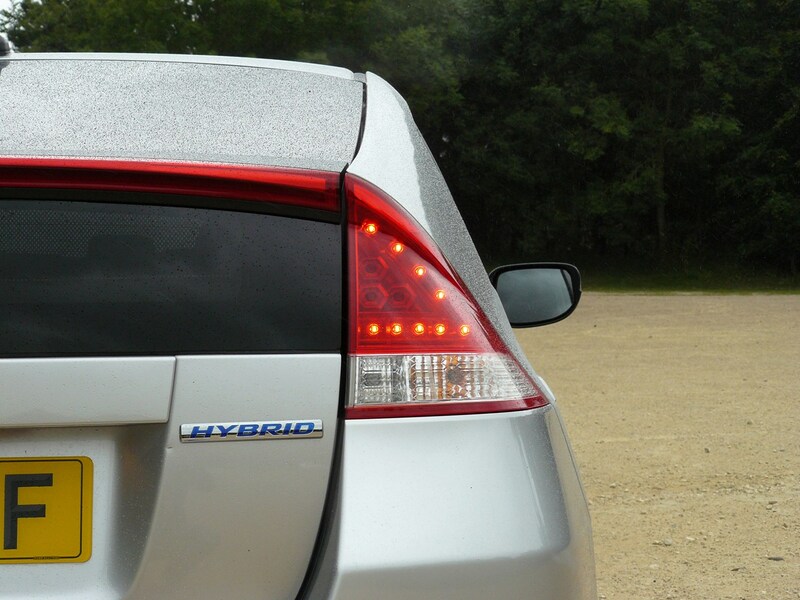 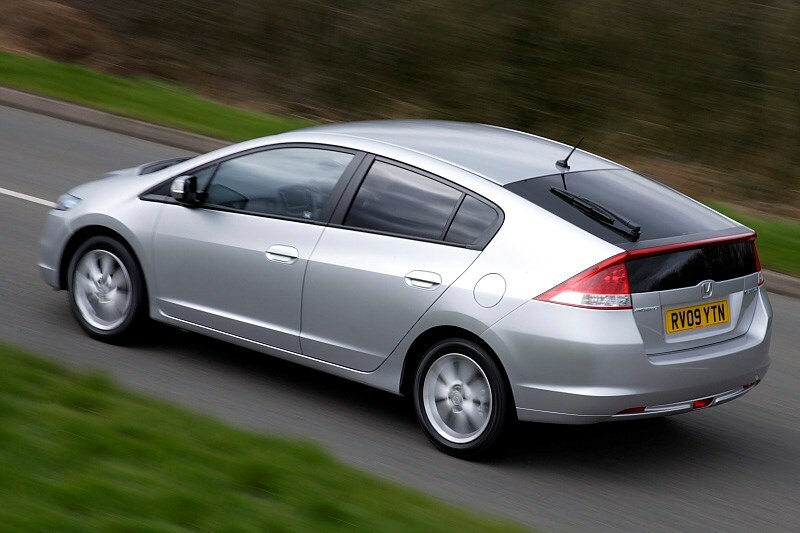 0-62mph takes a reasonable 12.5 seconds - although this is slower than the Civic Hybrid. 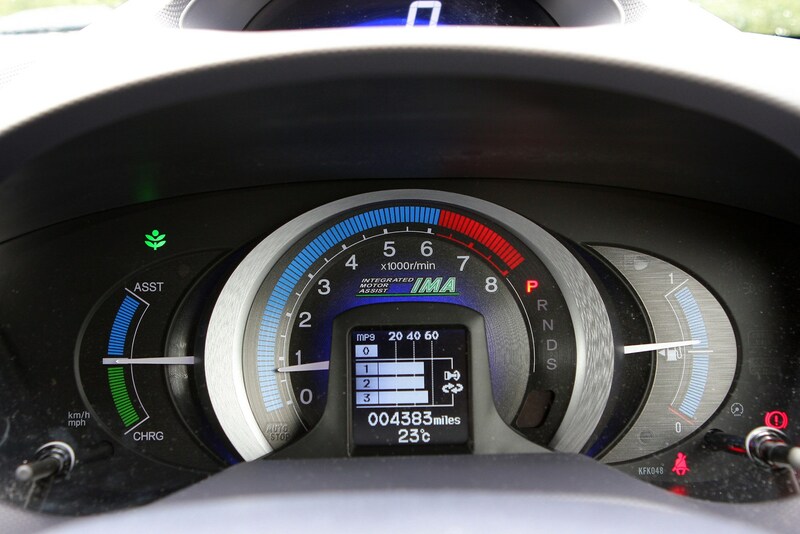 However, fuel economy is impressive with an average of 64mpg. 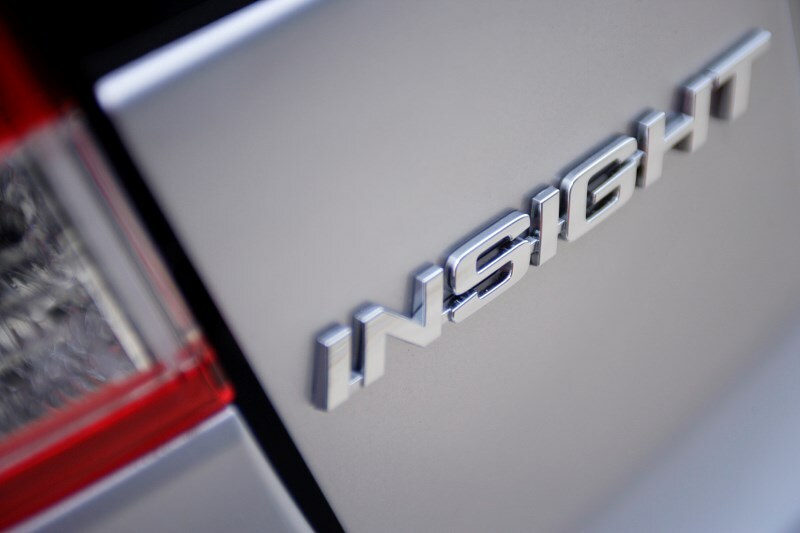 The Insight is good enough around town, but the engine doesn't respond well to demands for power. 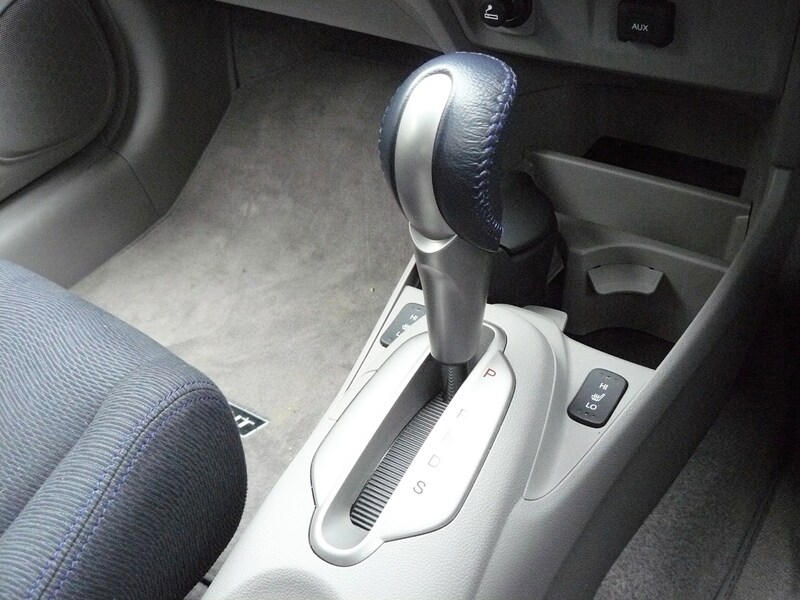 The CVT gearbox is the main problem. 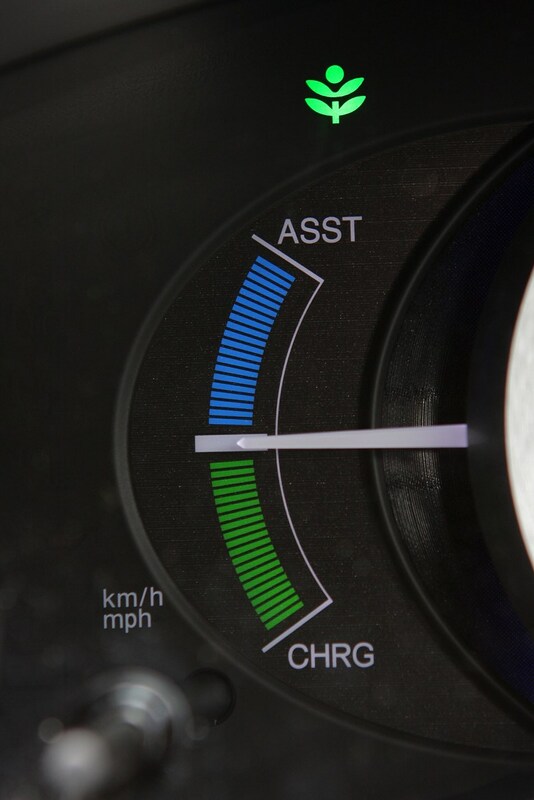 While it offers seamless changes, it holds the engine at high revs when accelerating, creating excessive noise and seeing economy drop rapidly. 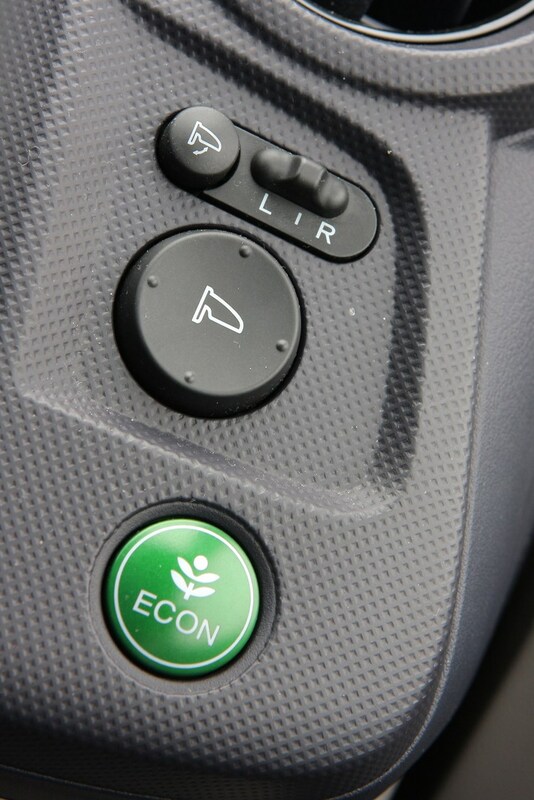 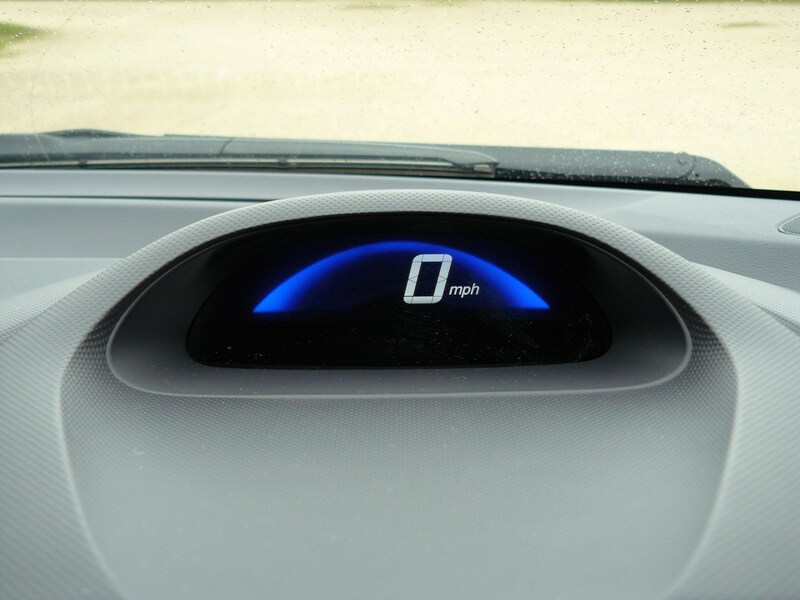 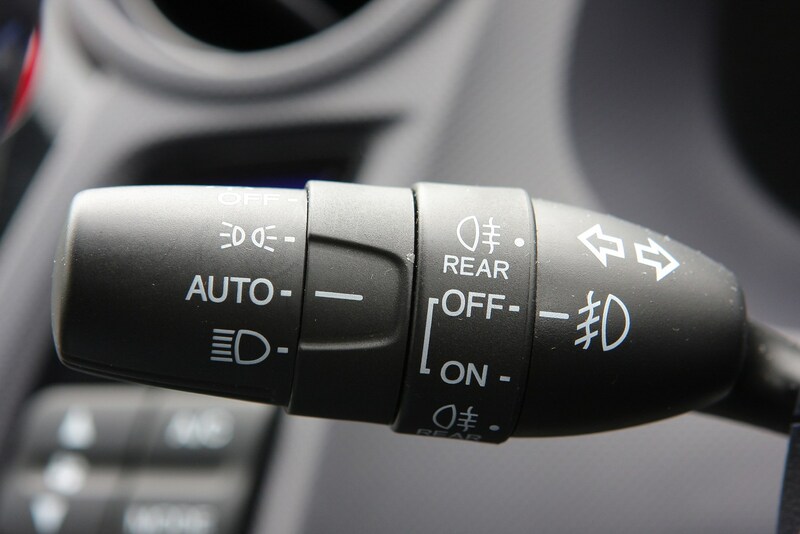 However, there is a super economy mode that's activated by an ECON switch on the dashboard. 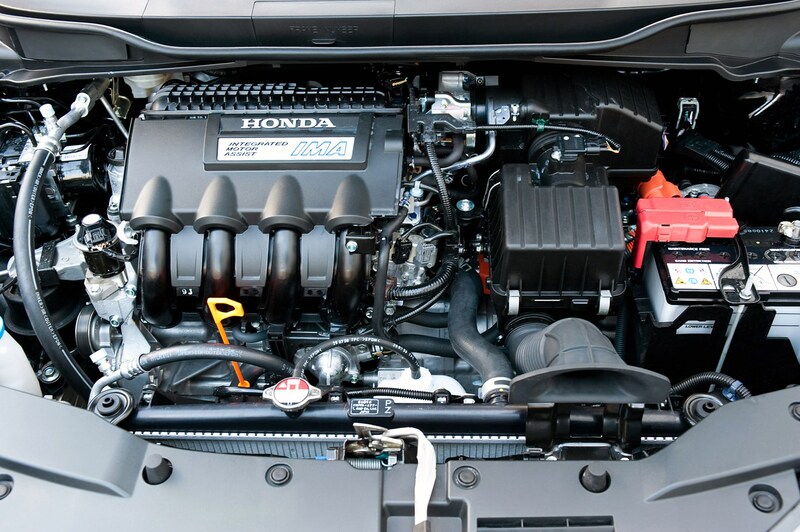 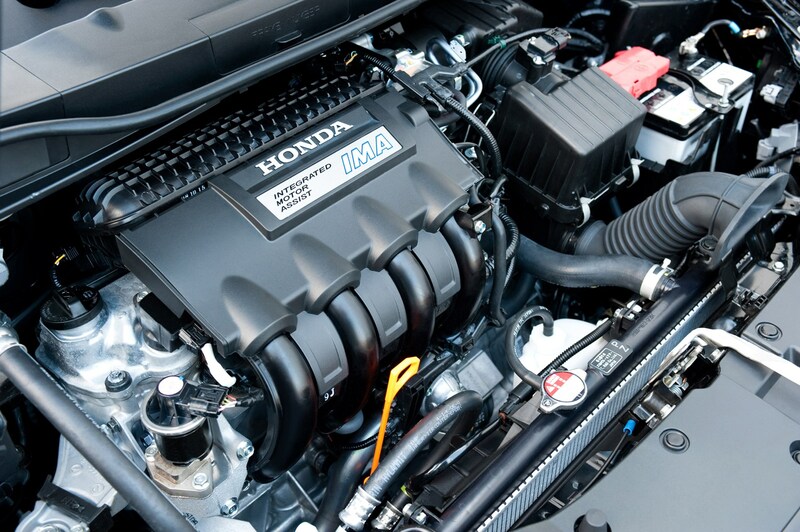 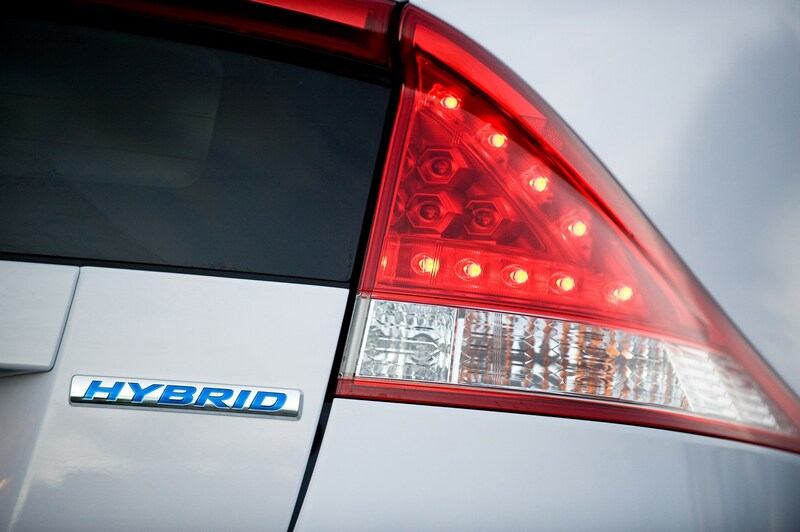 This limits engine power, smoothes out gear shifts and captures more regenerative energy from braking. 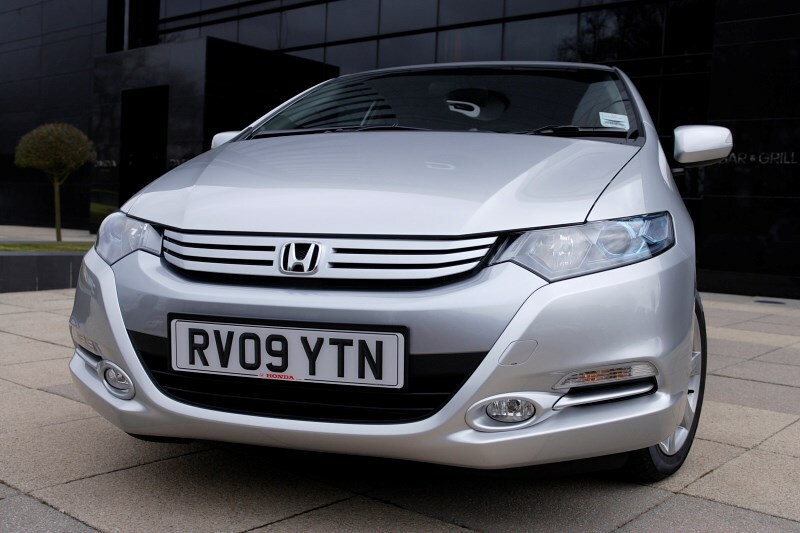 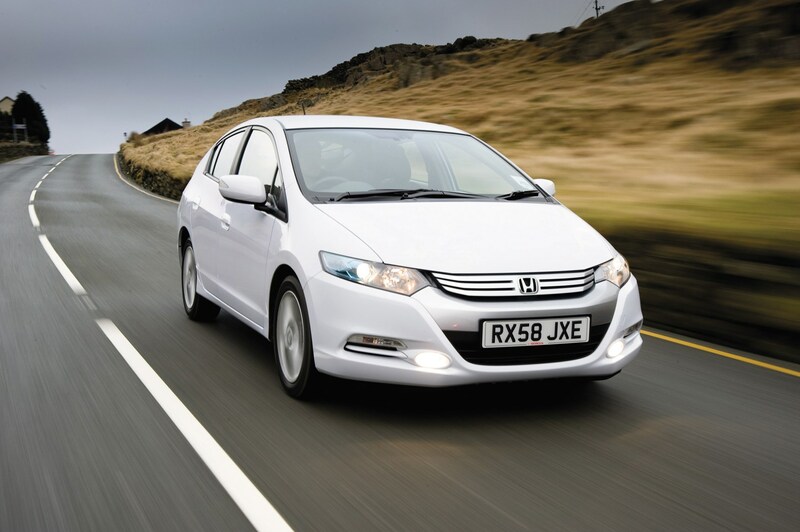 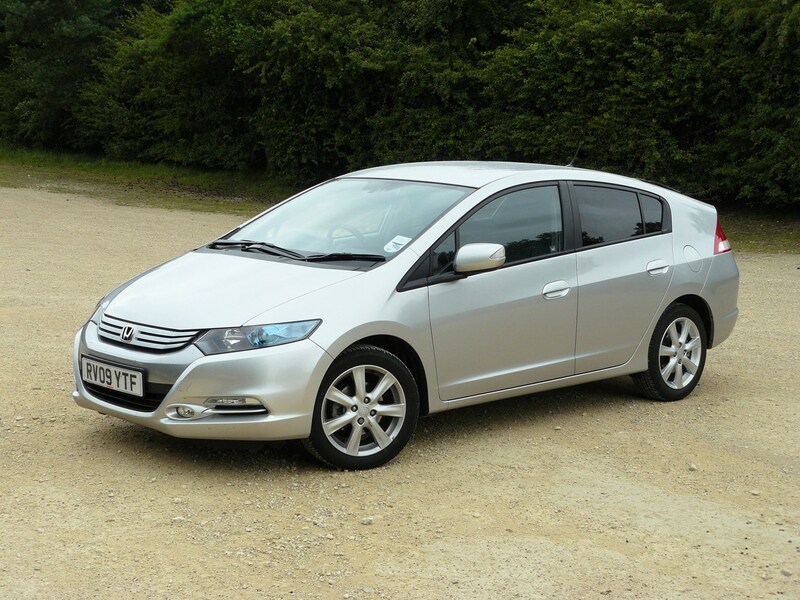 Light steering and a stepless CVT gearbox make the Insight easy and relaxing to drive in town or at gentle speeds. 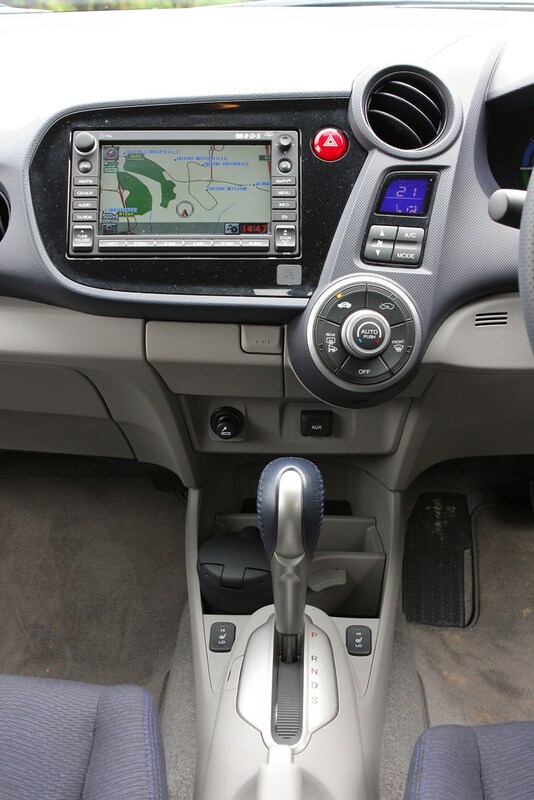 There's not much feel through the steering wheel, but it's nicely weighted and feels stable on the motorway. 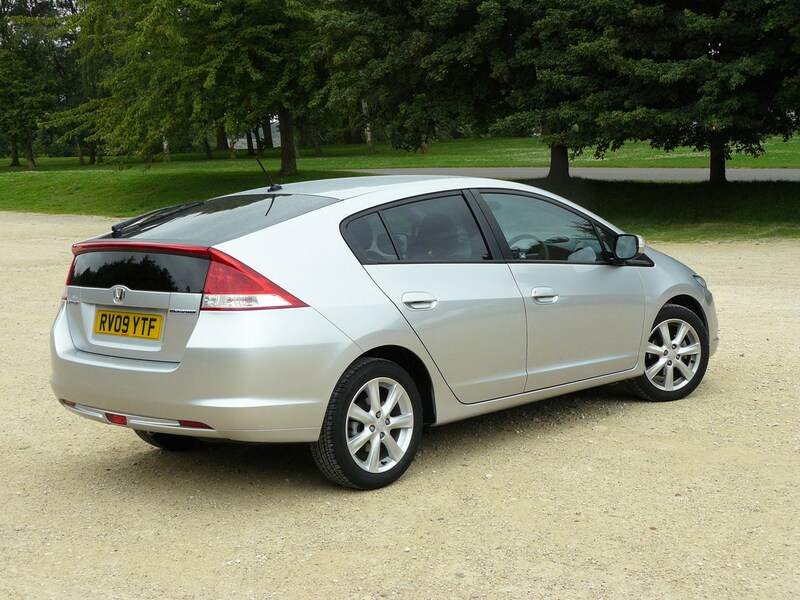 However on more twisting roads the Insight is soft with quite a lot of body roll. 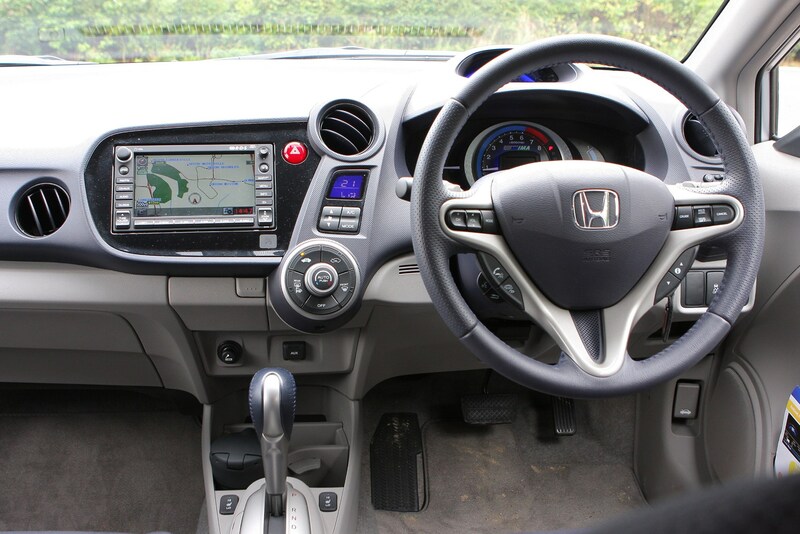 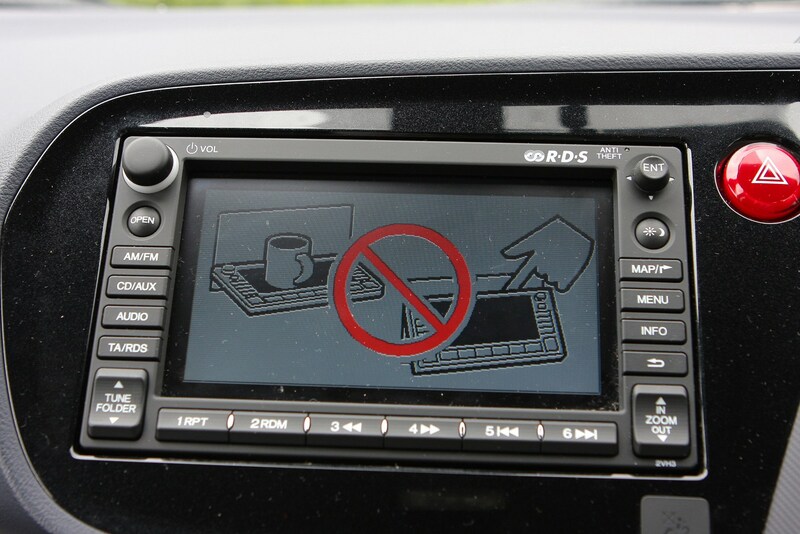 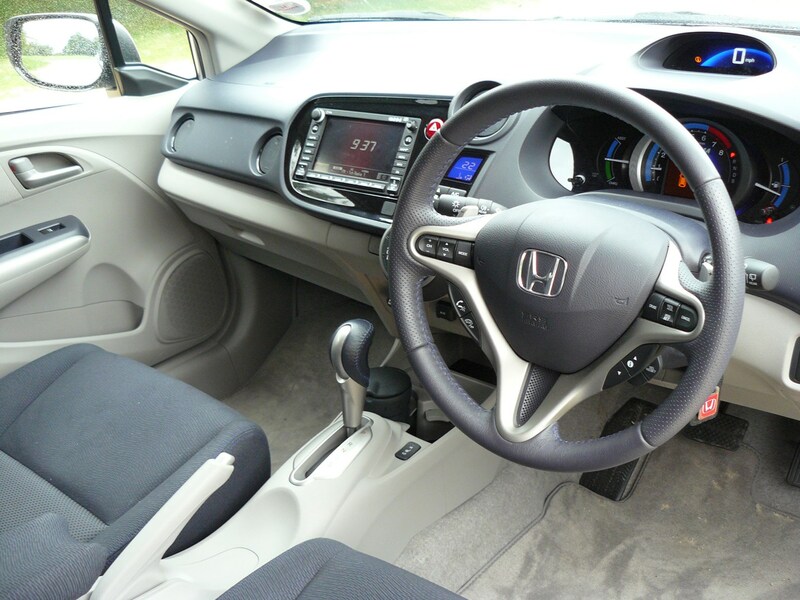 Ironically, despite the emphasis on economy, the Honda does actually come with a 'sport' setting on the gearbox along with steering-wheel mounted gear shift paddles on ES models. 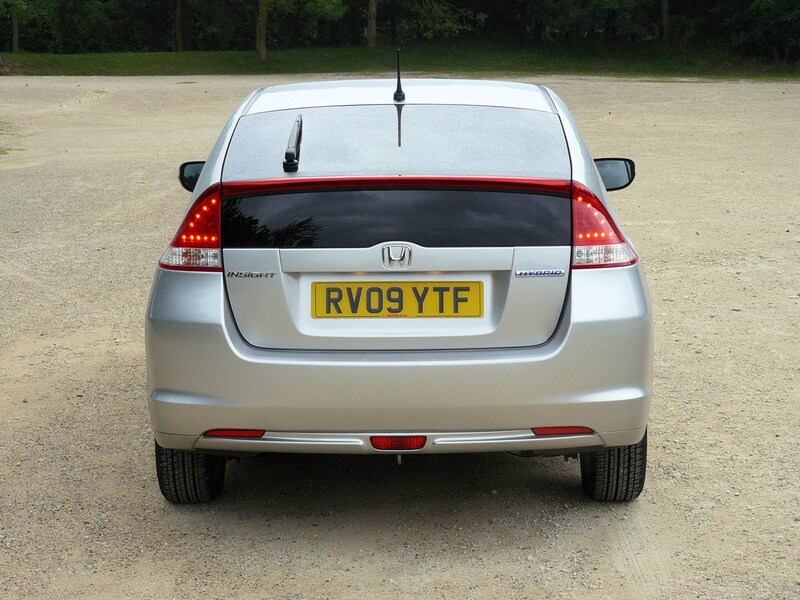 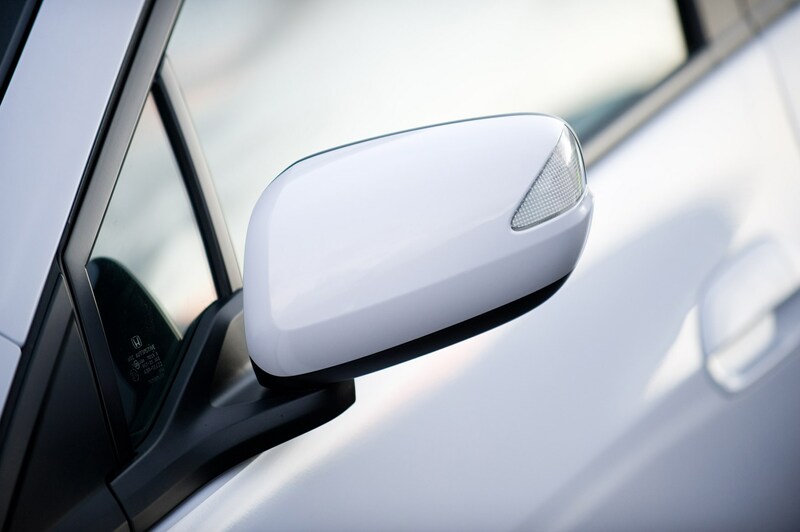 Visibility is general good, although the rear windscreen is similar to that on the Civic hatchback and features split level glass. 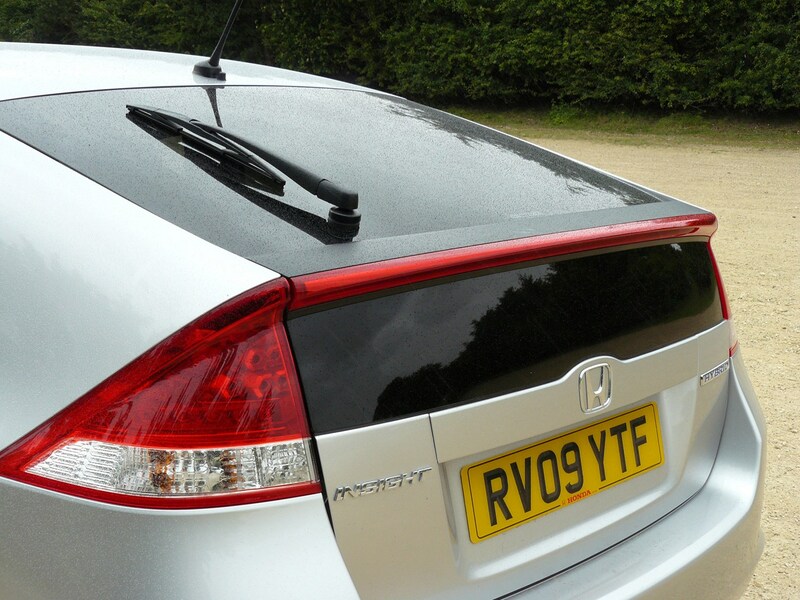 Unlike the Civic, the top half does have a wiper, but the lower section still gets dirty, hampering the view of cars behind. 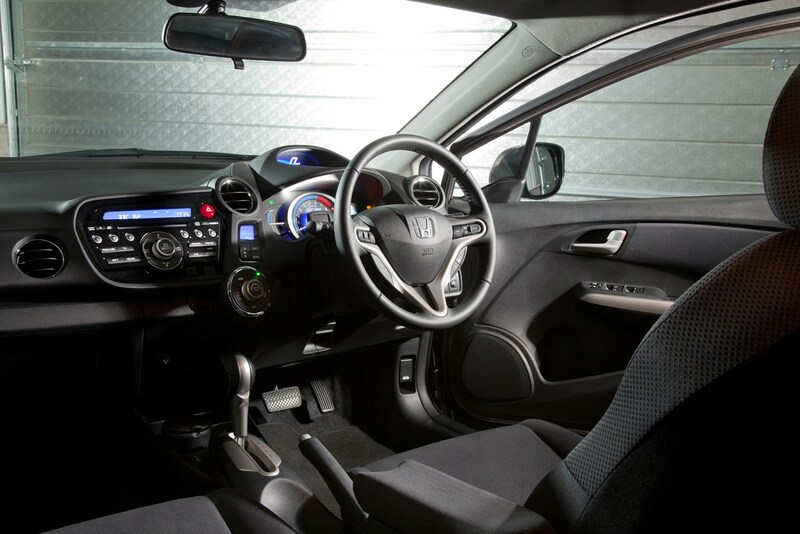 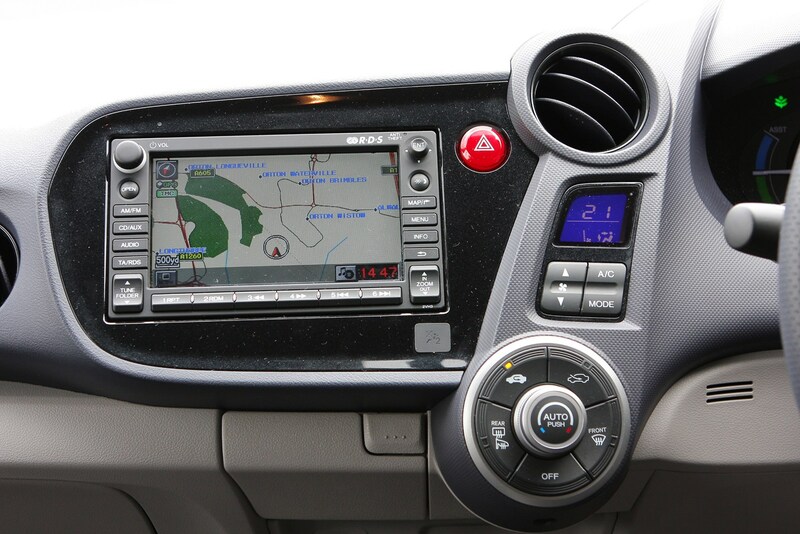 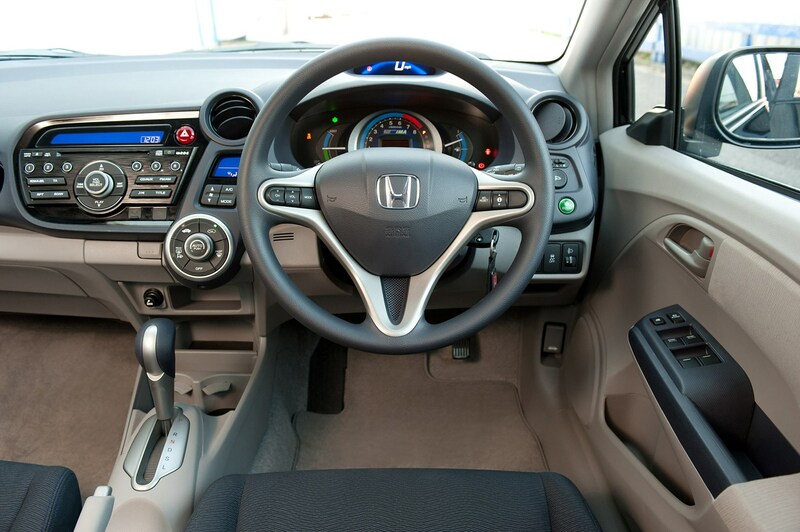 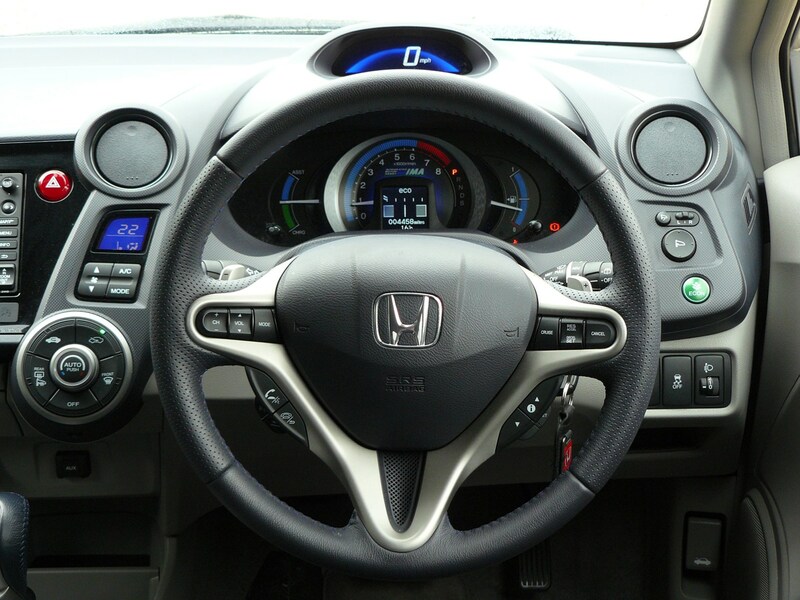 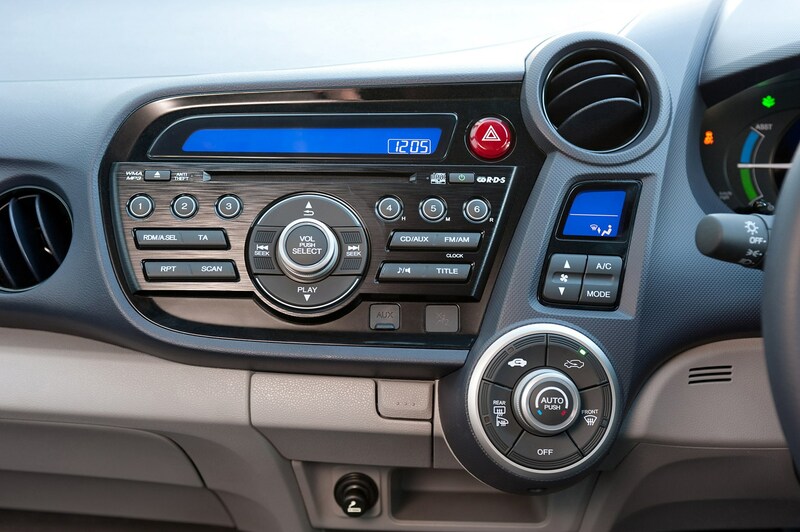 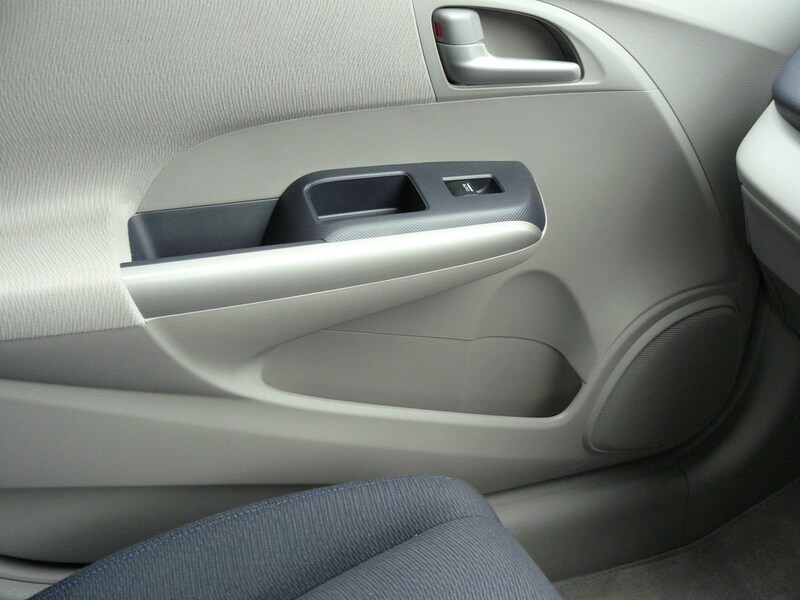 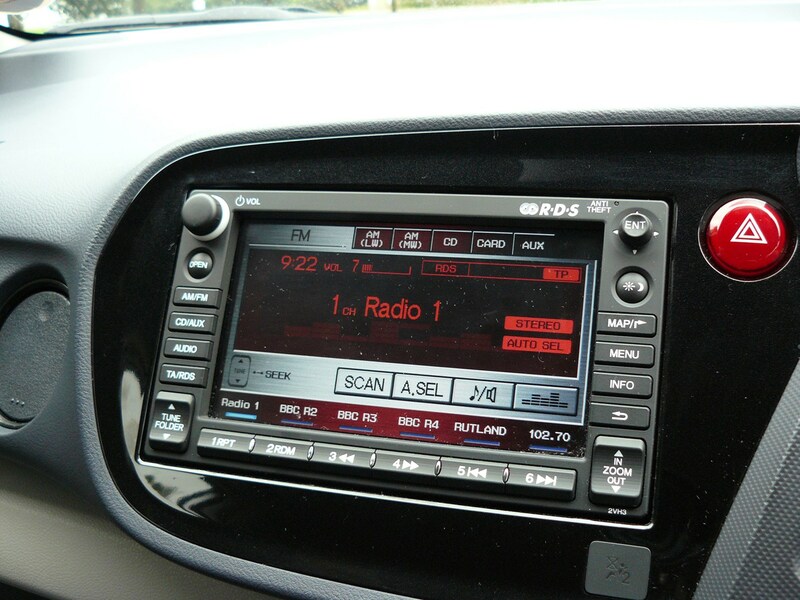 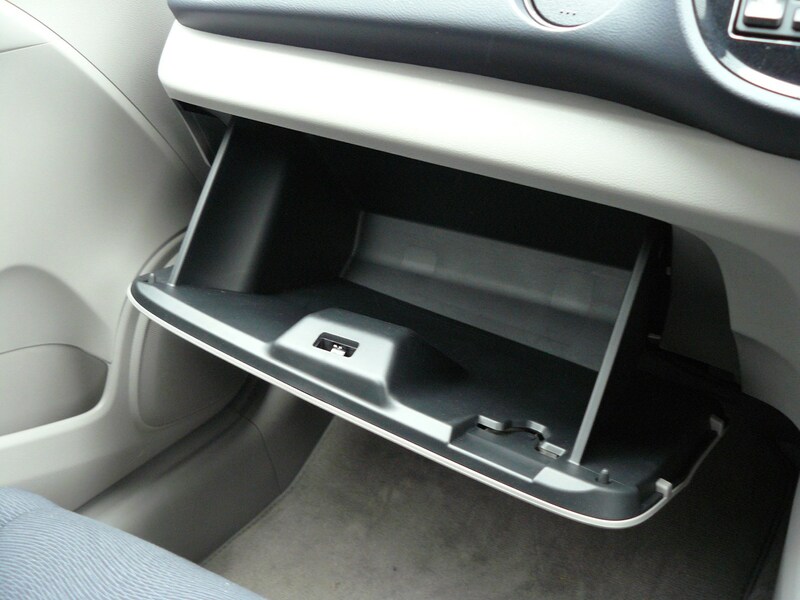 The Insight shares some interior components, such as the steering wheel and switches, with the Civic hatchback. 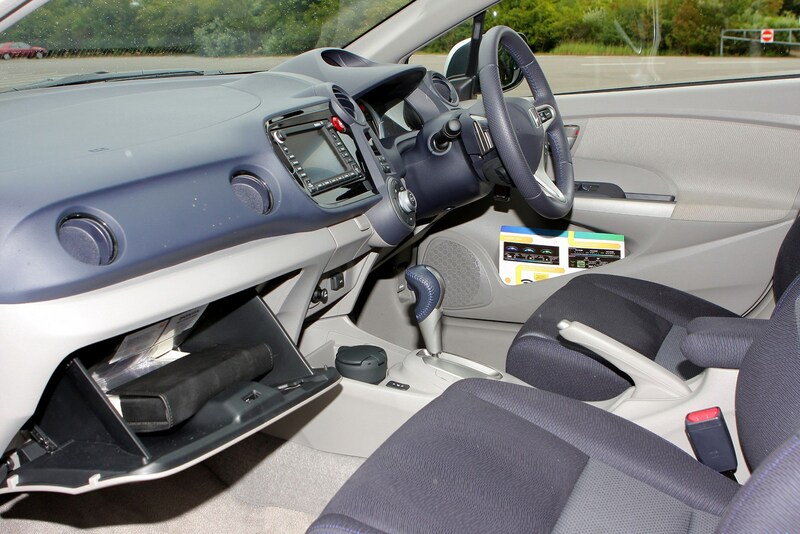 Unfortunately the rest of it lacks the same upmarket feel and there are some cheap-looking plastics on show (as a result of keeping weight down), but overall build quality is excellent. 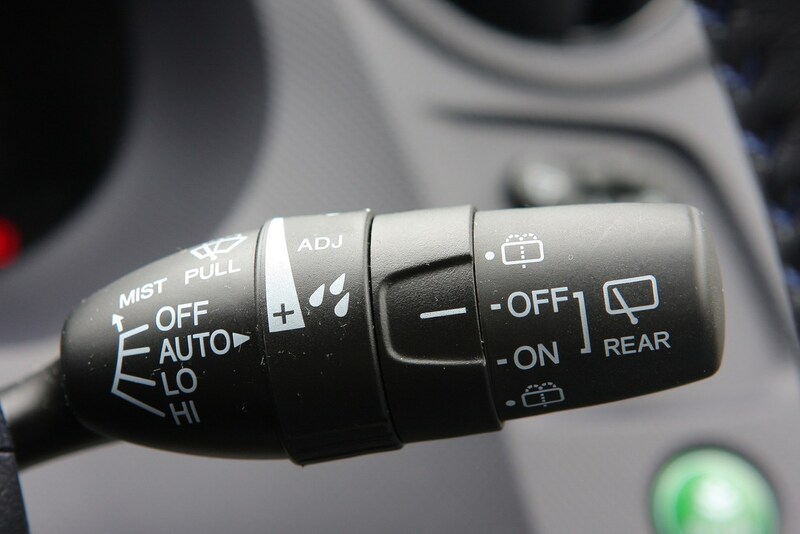 The driving position is spot on and there's plenty of reach adjustment in the steering column - however some drivers may find the digital speedo obscured by the top of the steering wheel. 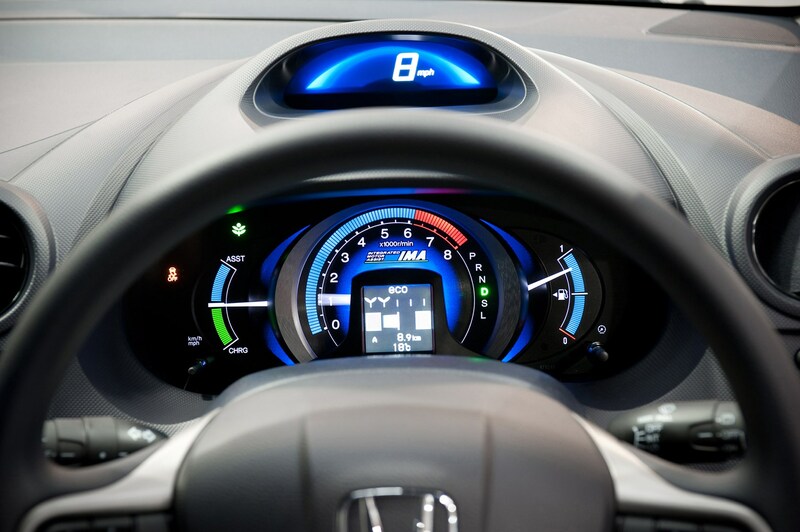 The real highlight of the cabin is the futuristic two-tiered instrument panel. This features a glowing light around the speedo which tells you how economically you're driving - green is good but aggressive acceleration sees it quickly turn blue. 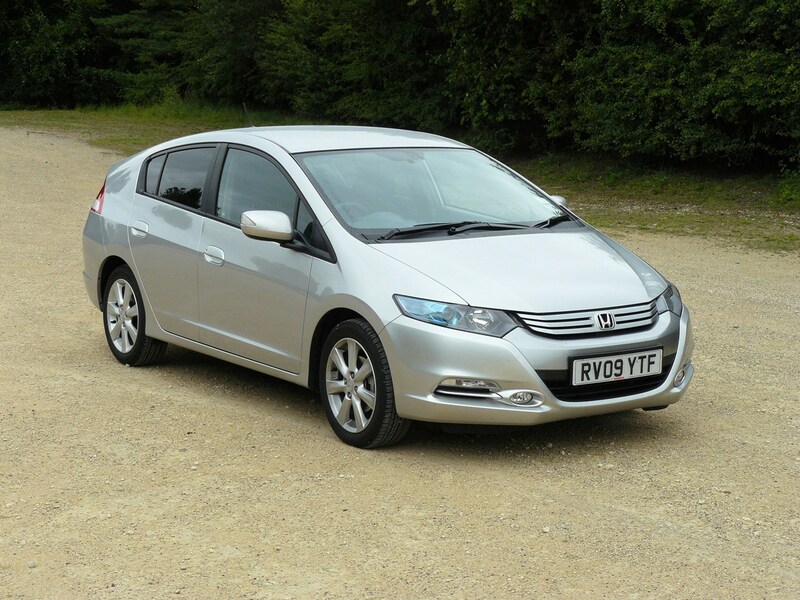 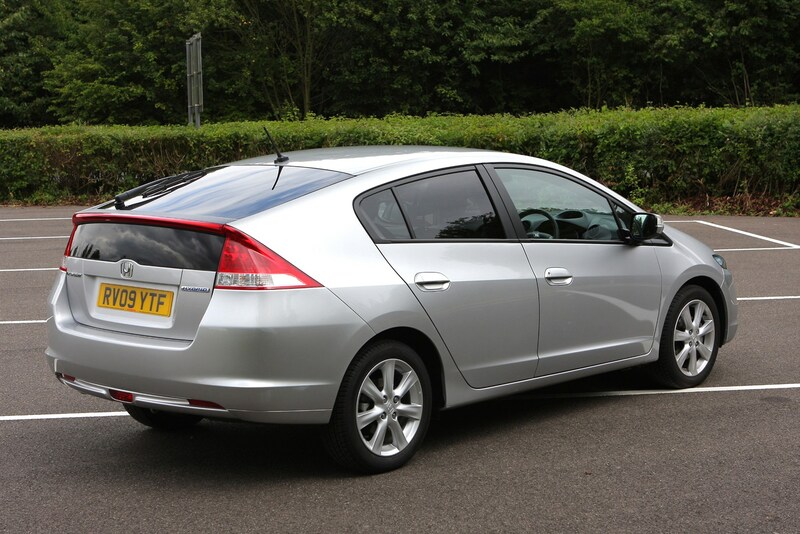 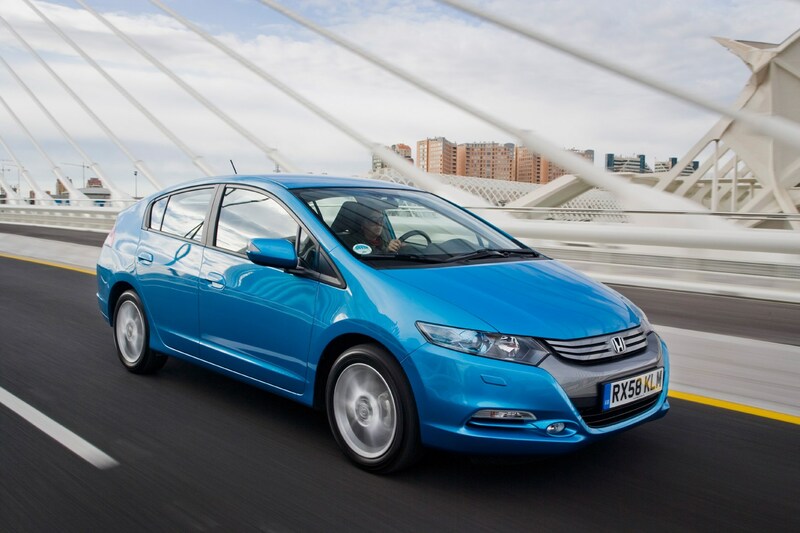 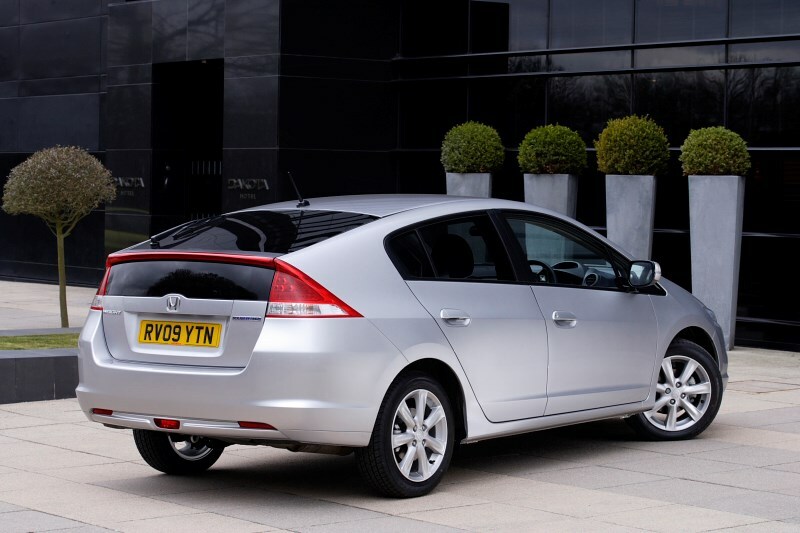 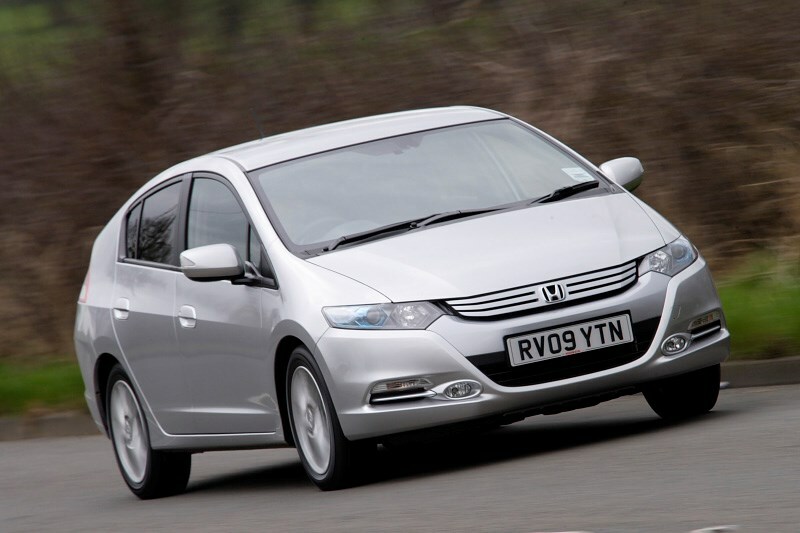 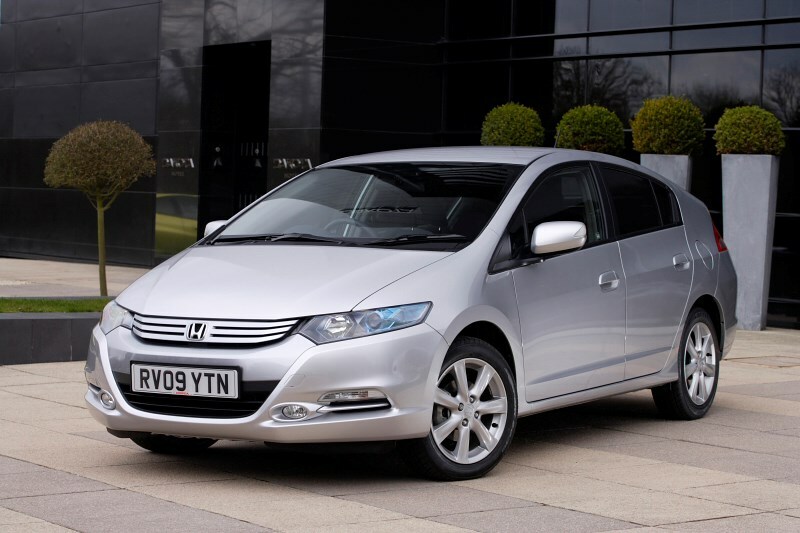 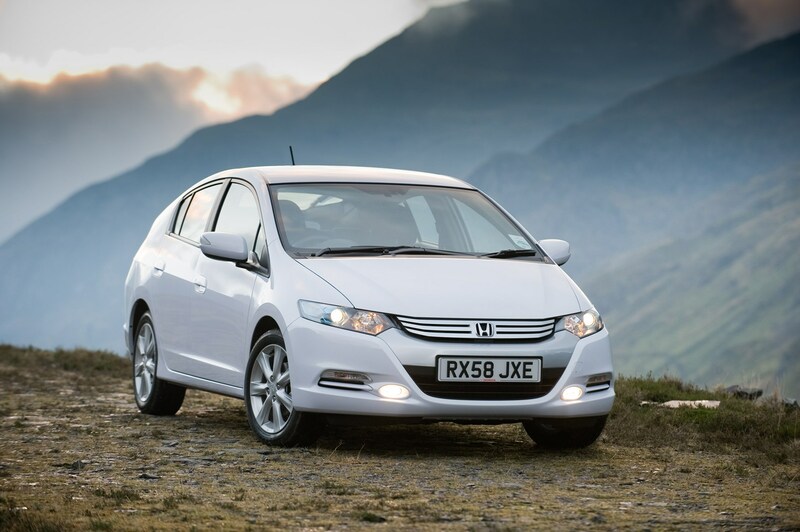 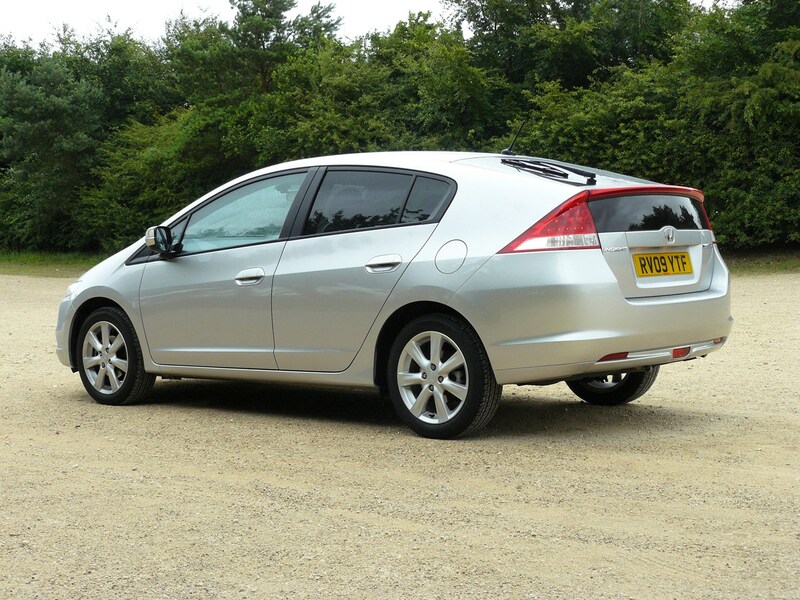 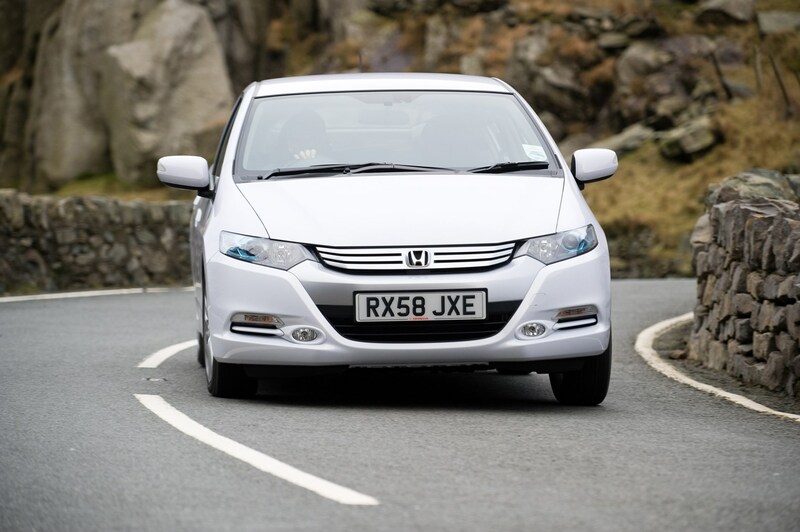 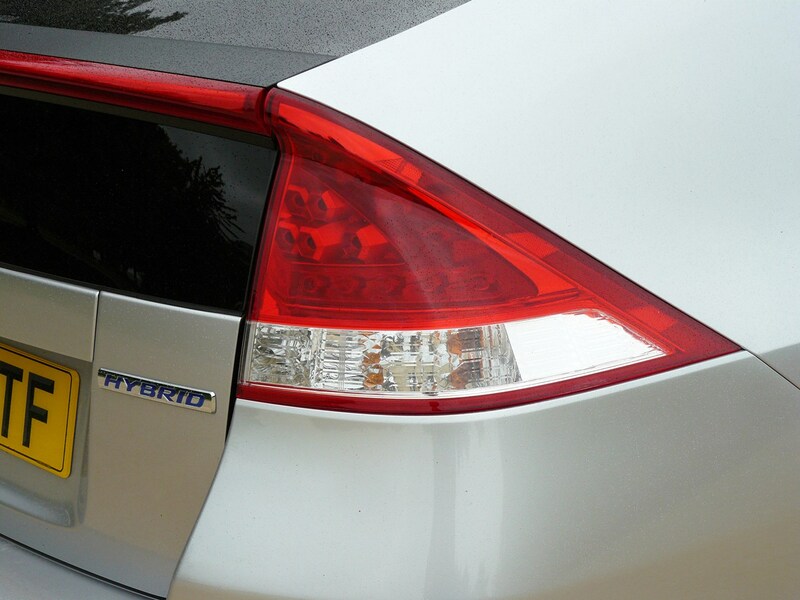 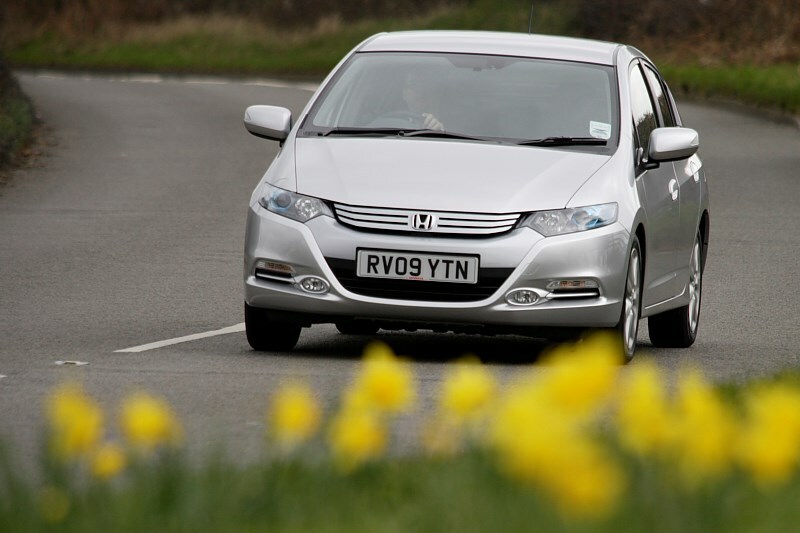 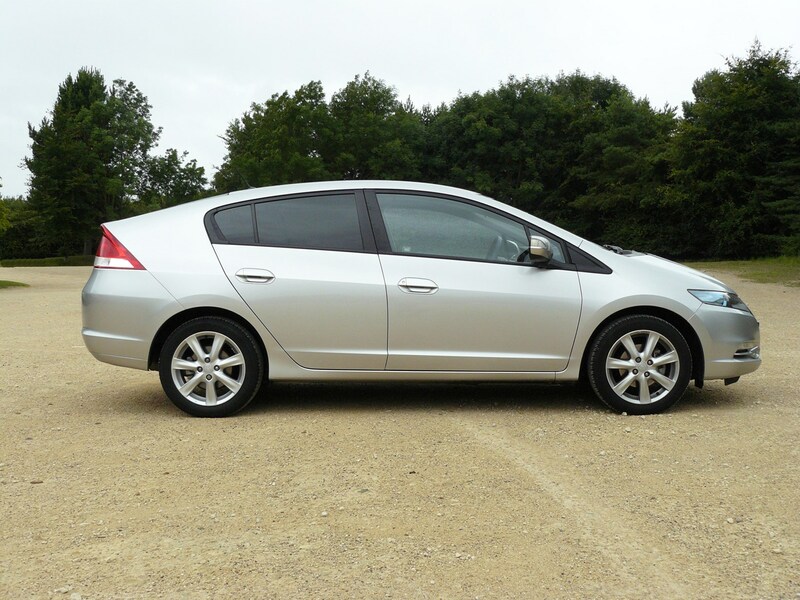 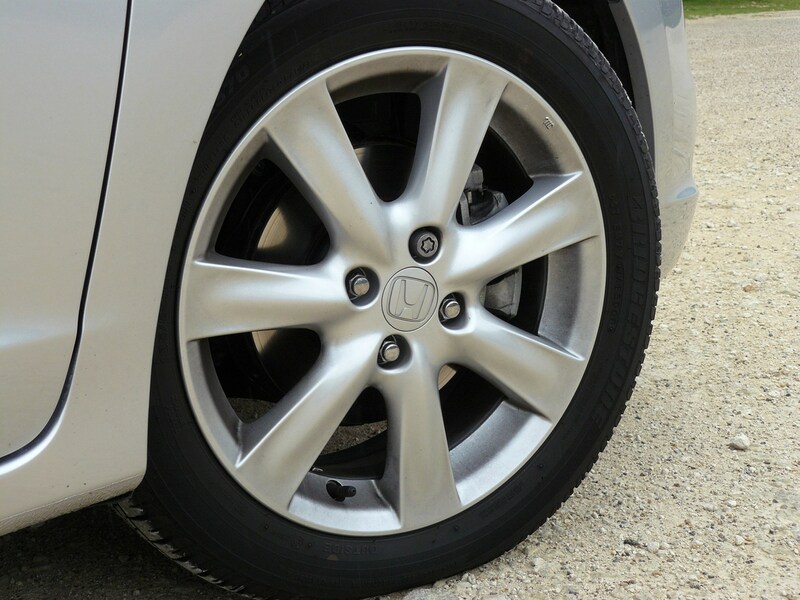 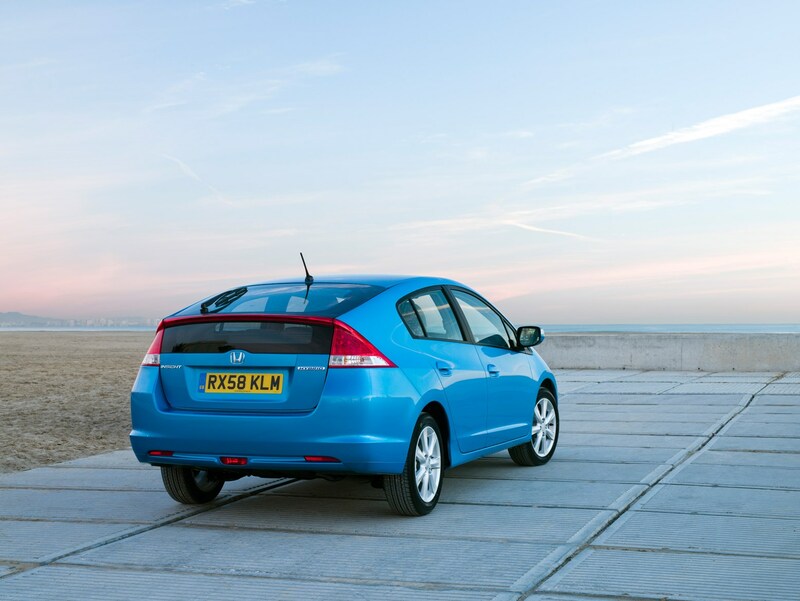 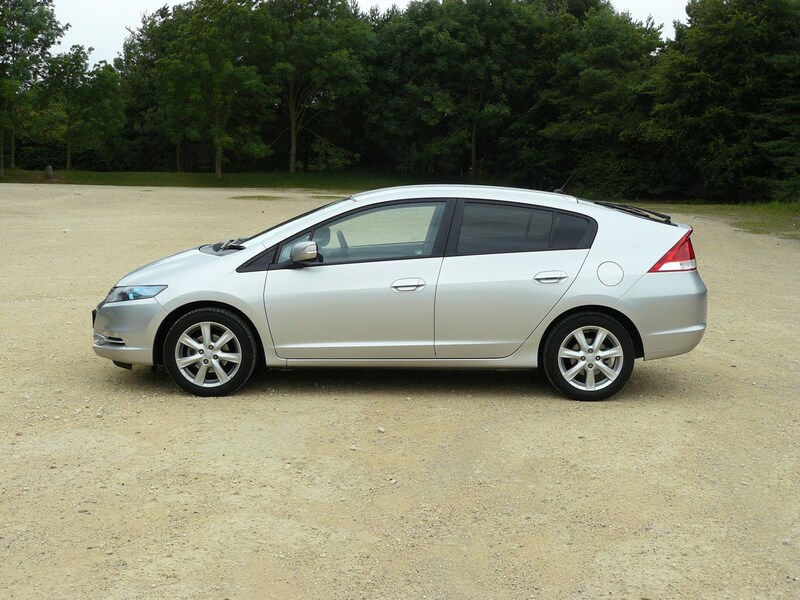 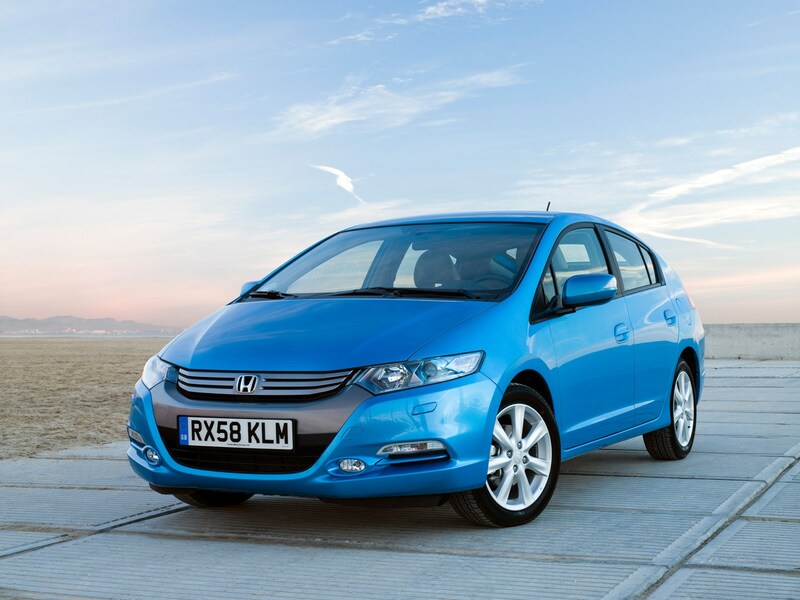 Unlike other Honda hybrid models, the Insight is a five-door hatchback, making it a realistic choice for families. 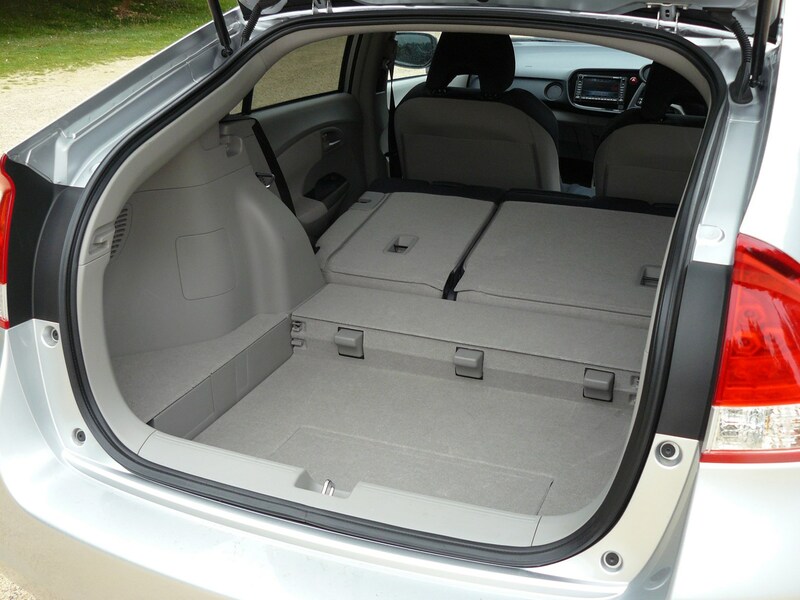 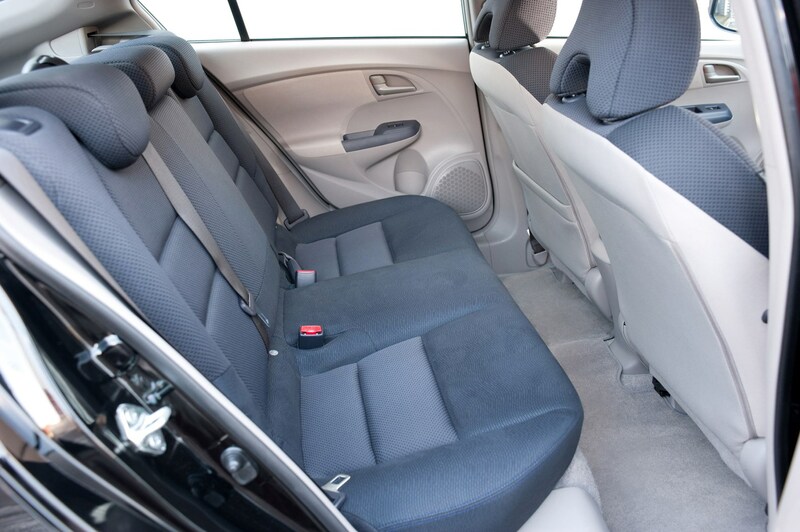 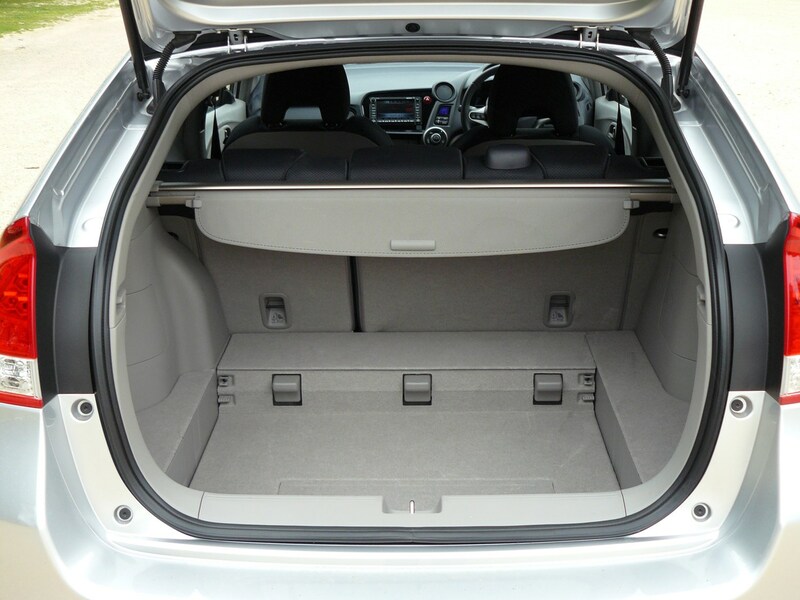 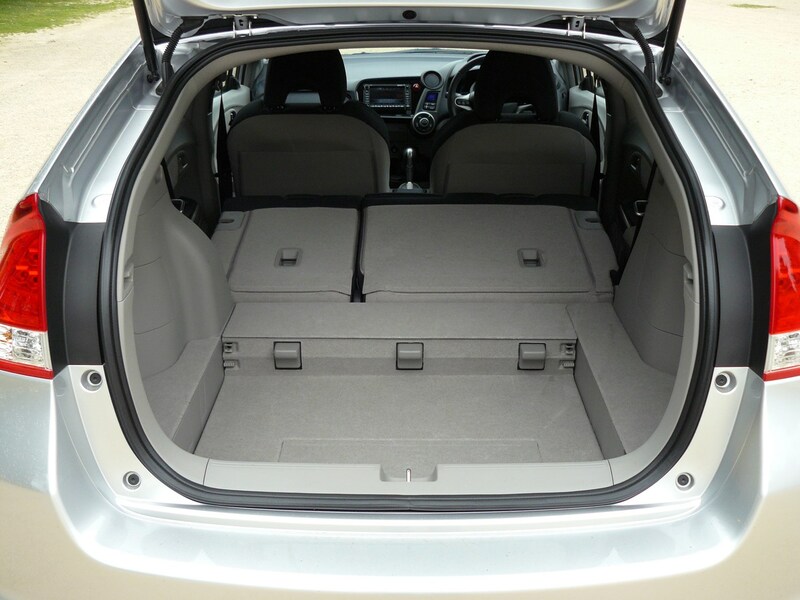 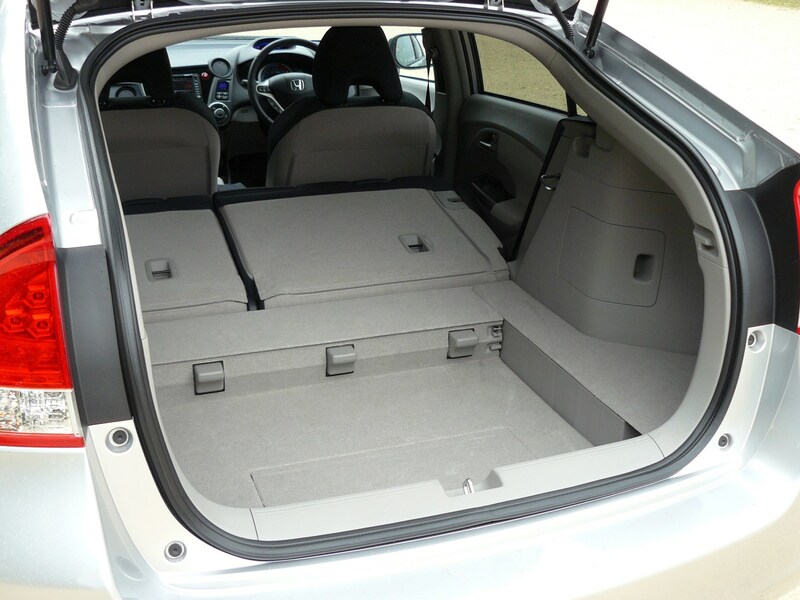 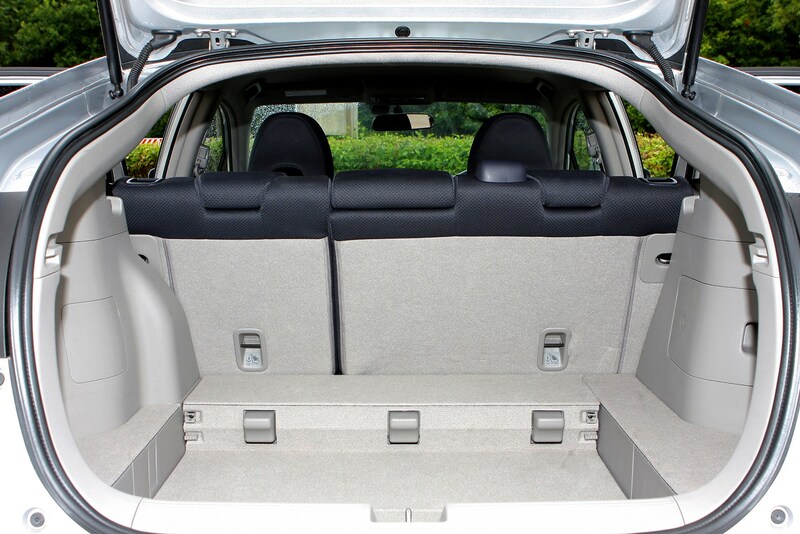 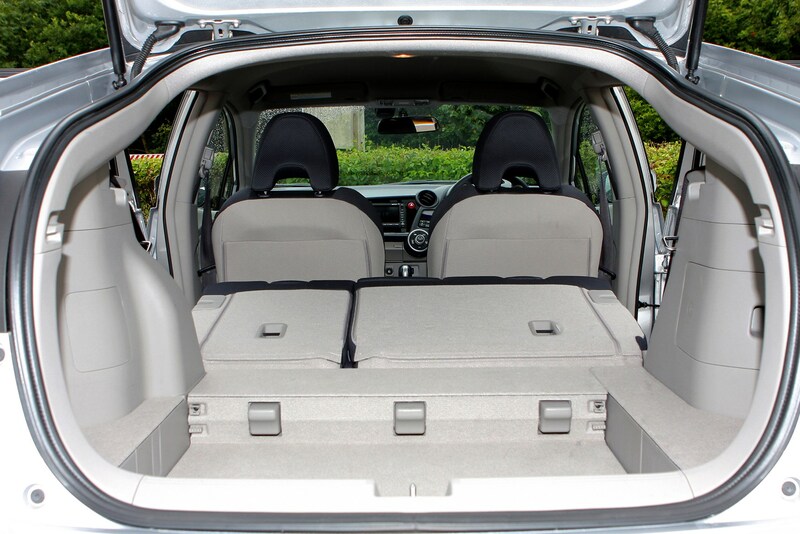 There's plenty of cabin space, especially in the rear where there's good knee and head room while thanks to a flat floor, three people can comfortably fit in the back. 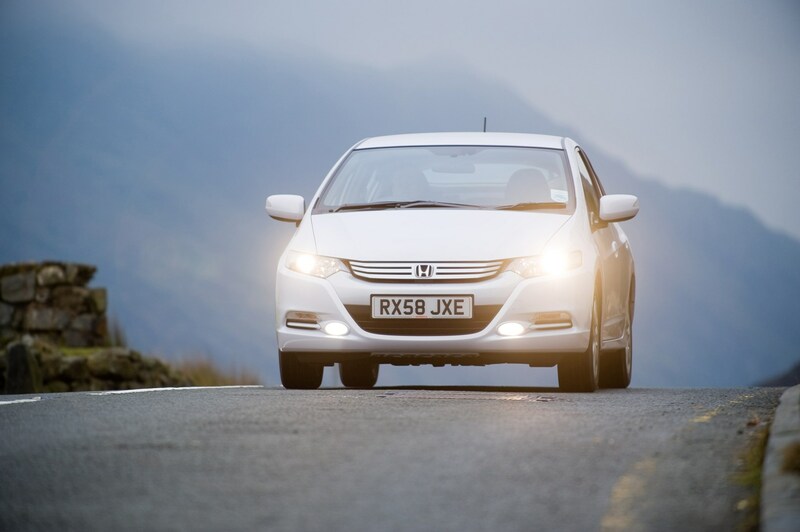 Ride quality is very good and the Insight deals well with potholes and rough tarmac, so it's a shame that the engine is so noisy when accelerating even moderately quickly. 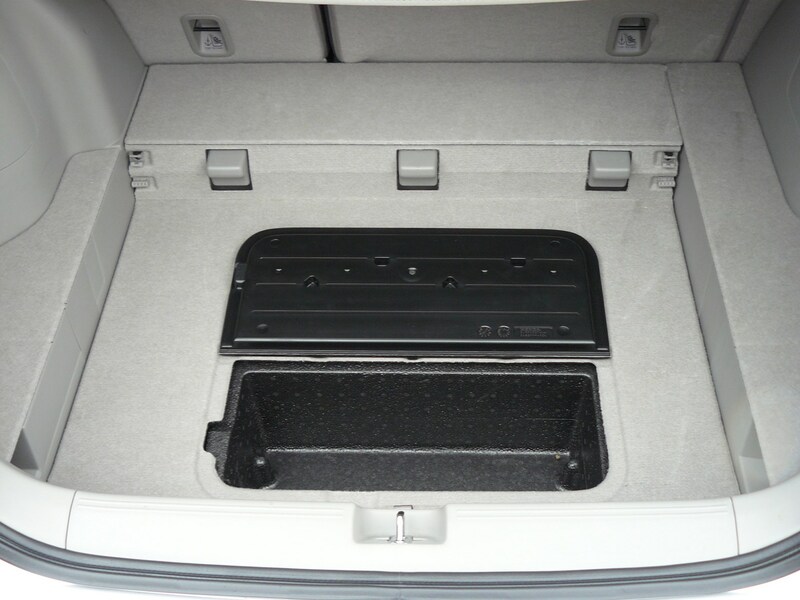 On the plus side, all models come with climate control and electric windows as standard while ES models get heated front seats.